The Schrader household has used cast iron skillets and griddles for several years now. We love the way it cooks our food, we love that it’s not leaching chemicals into our meals, and contrary to popular belief, it’s quite easy to clean up. We have a couple of pieces that have seasoned really nicely, and we never have to use any kind of oil or spray to make sure our food doesn’t stick. But we do have one skillet that no matter what we do to it, no matter how many times we season it, no matter how careful we are with it, it just won’t stay seasoned. It’s super annoying. Every time my brother-in-law comes to town he spends hours upon hours re-seasoning our pan, trying to get it to the point where it won’t return to its sad ways. And he does an awesome job! By the time he leaves it looks like we have a 100 year old, well seasoned pan! And then we cook something in it once, twice, maybe three times, and it refuses to cooperate. We need a new pan. 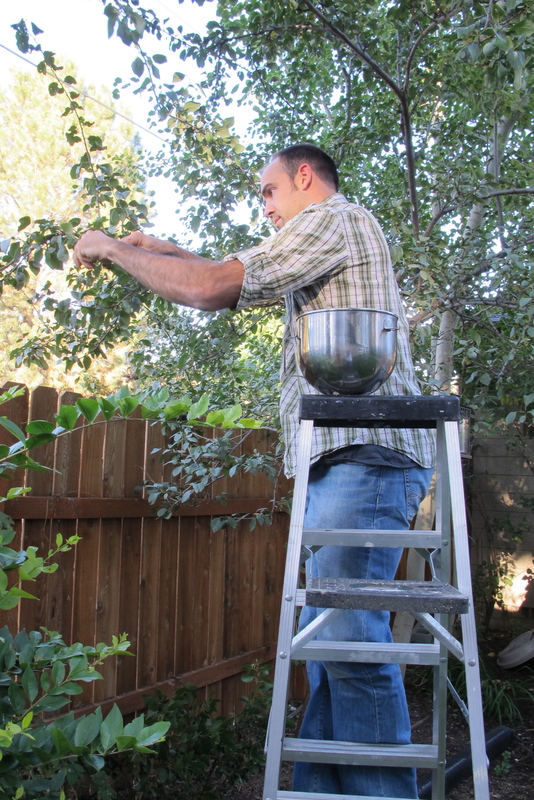 If you are pitting the cherries, do so over a bowl so you can catch any juices. 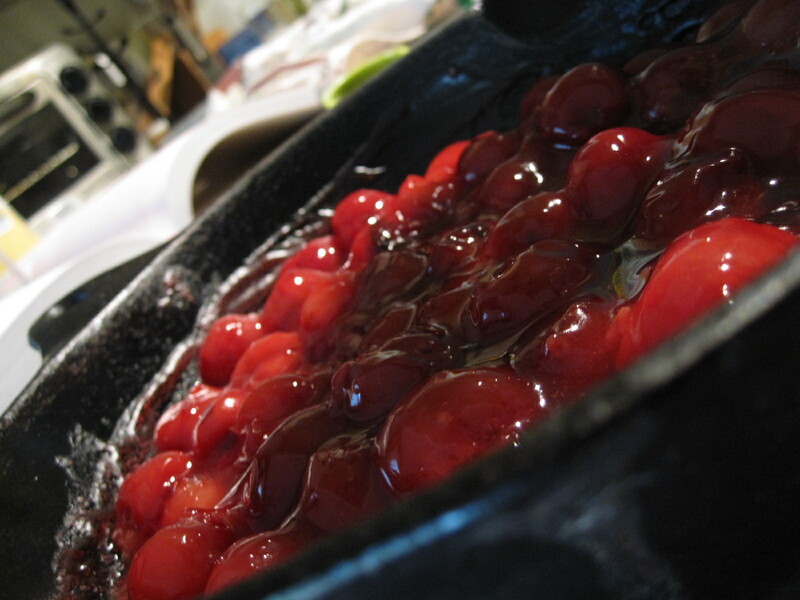 Toss cherries with the cornstarch, sugar, lemon juice, zest, and almond extract. In a large bowl, sift or whisk together the flours, sugar, cinnamon, baking powder, baking soda, and salt. Blend in the butter with your fingertips or a pastry blender until the mixture resembles coarse crumbs. Stir in the buttermilk until just combined. 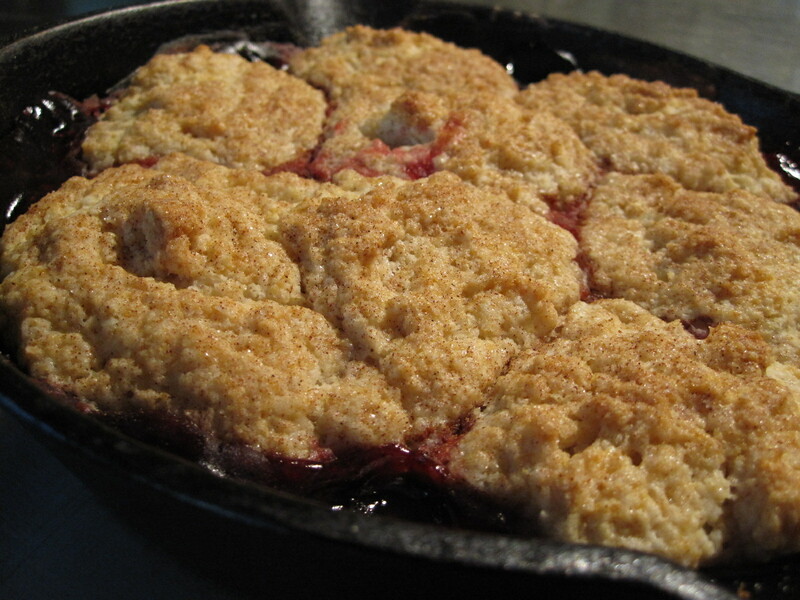 Set an 8-inch cast-iron skillet or flameproof baking dish over a medium flame, and add the cherry mixture, bringing it to a boil, stirring until slightly thickened. Remove from the heat, drop the batter by heaping tablespoons onto the cherry mixture, and sprinkle with the cinnamon sugar mixture. Place the skillet in the oven and bake for 25 minutes, or until the top is golden. Serve warm or at room temperature. What I love about this brilliantly red cherry dessert: It’s gorgeous! And simple! And baked in a skillet! 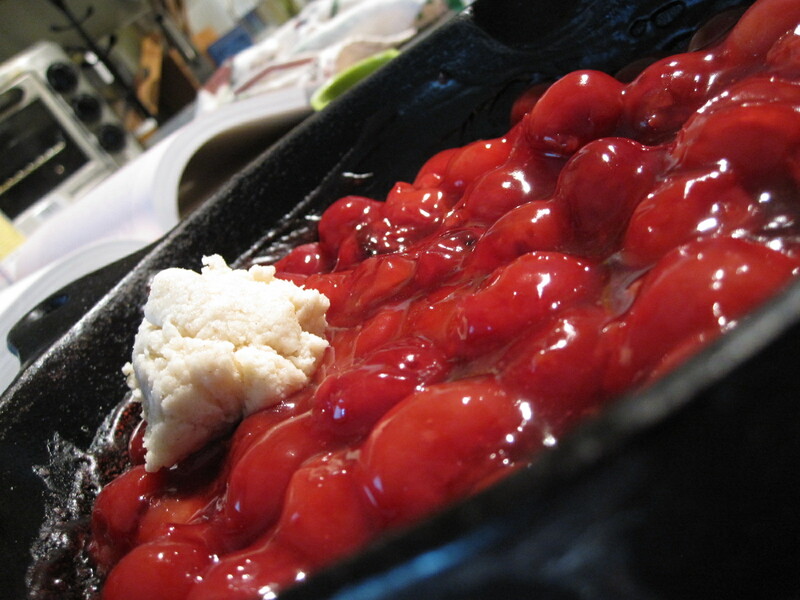 What I hate about this brilliantly red cherry dessert: Not enough cherries! 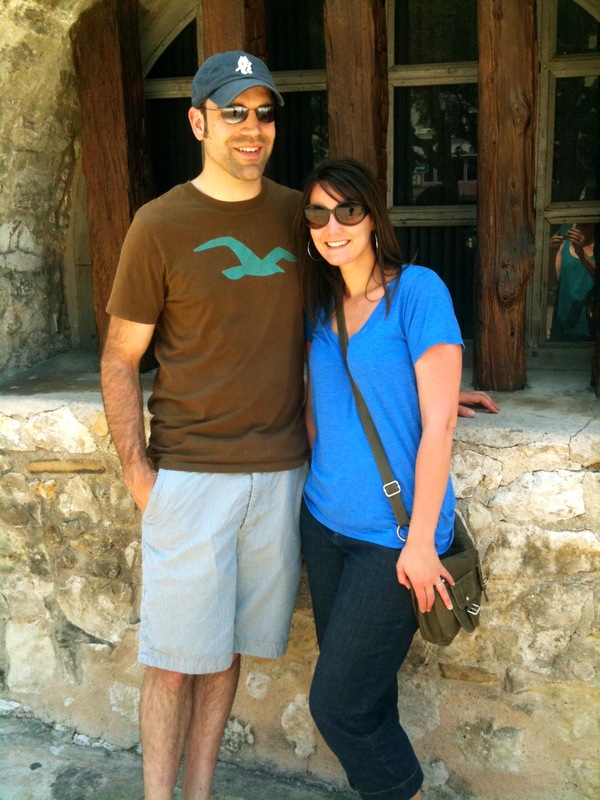 We visited The Alamo, which was amazing! 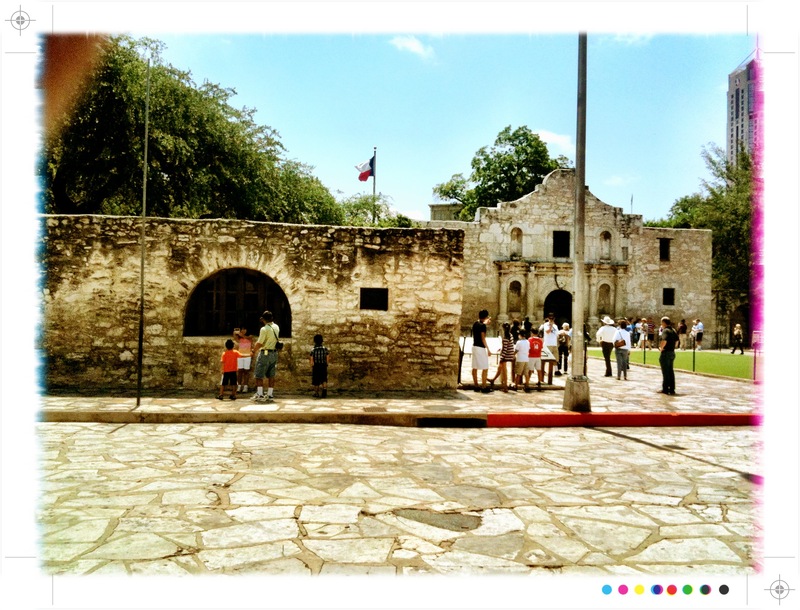 It’s crazy to see relics of battles fought so many years ago. We also walked down the Riverwalk which was stunningly beautiful, despite the fact that I quite literally felt like my face was melting off. 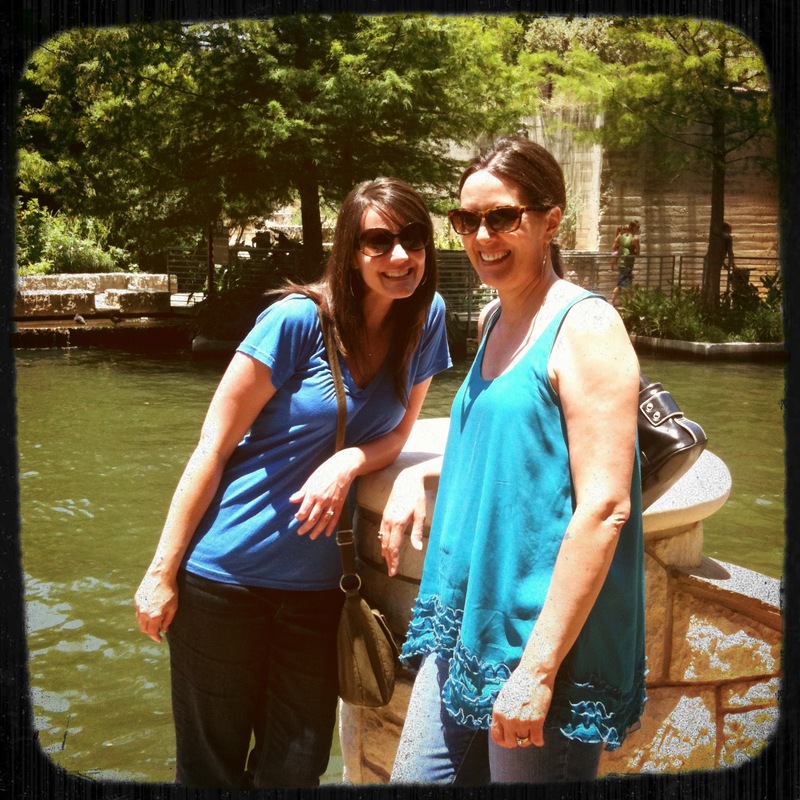 Fun trip, new memories made, and days filled to the brim with joy! The only thing missing was a pretty sister, a brother-in-law to capture our trip in photographs, and a nephew to point at the water incessantly to tell us what it is. Oh how I miss them! This next recipe that my mom chose was also because of it’s southern roots. Buttermilk Pie is described as a mild flavored custard pie, although my mom swears it really is different than custard. I’ll admit that it sounds a bit uninteresting, but it is truly far from boring. With a filling that consists of merely eggs, sugar, buttermilk, a small amount of flour, and butter, it’s one of the easiest pies a person could make! Add the sugar and continue mixing for about another minute. Add eggs one at a time, beating well after each egg. Add the flour and mix until combined. Mix together the buttermilk and the vanilla and then add. Pour the filling into a 10-inch, unbaked pie shell. Dust the top of the pie with nutmeg. Bake at 350 degrees for 45 minutes (feeling should feel set in the middle, only slightly jiggly). What I love about this simple Southern pie: There couldn’t be an easier pie to create! Two weeks ago I had my first Oregon strawberry of the season! If you haven’t already heard about my love for Oregon strawberries, then I really haven’t done a very good job of gushing over how amazing they are. So good that they are worth driving over the pass to purchase in bulk. Two weeks ago while we were in Salem for Memorial Day weekend, Shauna and I casually walked into the local Roth’s to pick up a few ingredients for dinner…and there they were. Greeting us with their bright red glow in their aqua colored berry cartons. It was fantastic. The first picking of the season, and there was no way Shauna was passing them up! We later enjoyed them cut up on some vanilla ice cream, and I’m convinced life could not have been much better at that moment. While the strawberries on these cute little tarts aren’t Oregon berries, I will absolutely be making these once I get back over to Salem to get some for myself! This was one of the easiest recipes I have ever made. It’s an excellent alternative to the more time consuming, temperamental baking of a cheesecake, that tastes seriously similar. 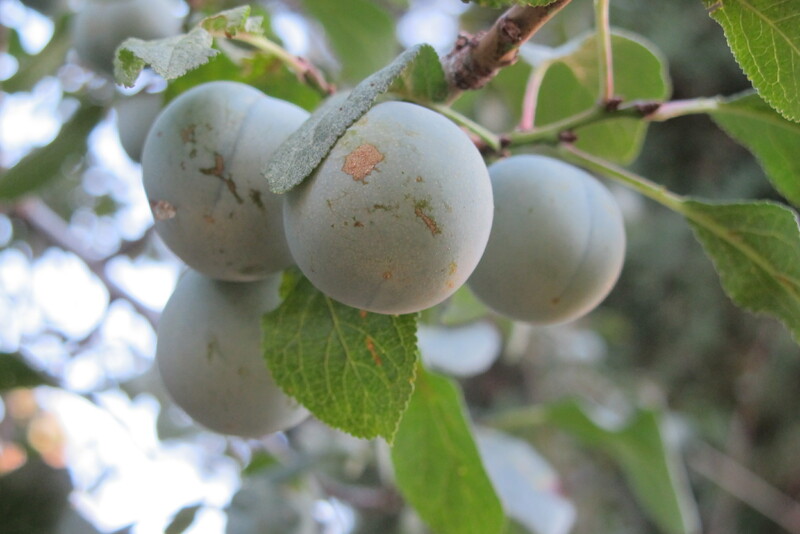 Blueberries will be ready in Silverton next month, and I can’t wait to try these tarts with that delightful berry accompanying them! For those of you outside of Oregon, enjoy this wonderfully easy, no baking required dessert! For those of us here in Oregon…you can still make it while you dream of what summer will be like when it finally decides to show its face. Don’t be scared summer…come on out! Mix together the graham cracker crumbs, melted butter and sugar. 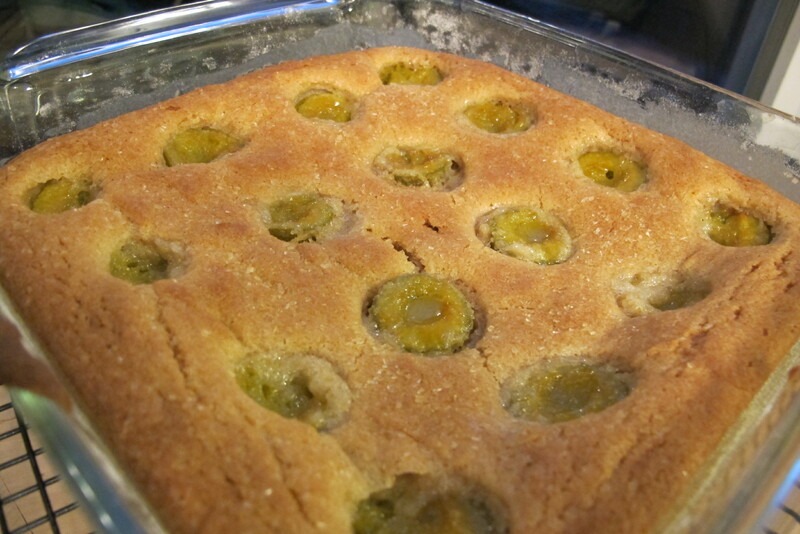 Evenly divide the mixture and press onto the bottom and up the sides of the tart pan(s) with removable bottoms. 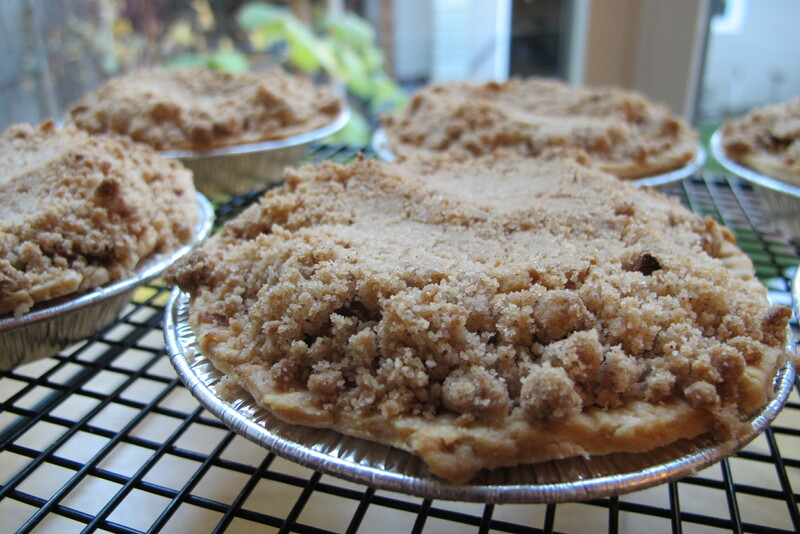 If using the 4-inch tart pans, each tart will use 2-3 Tbsp of the graham cracker crumb mixture. 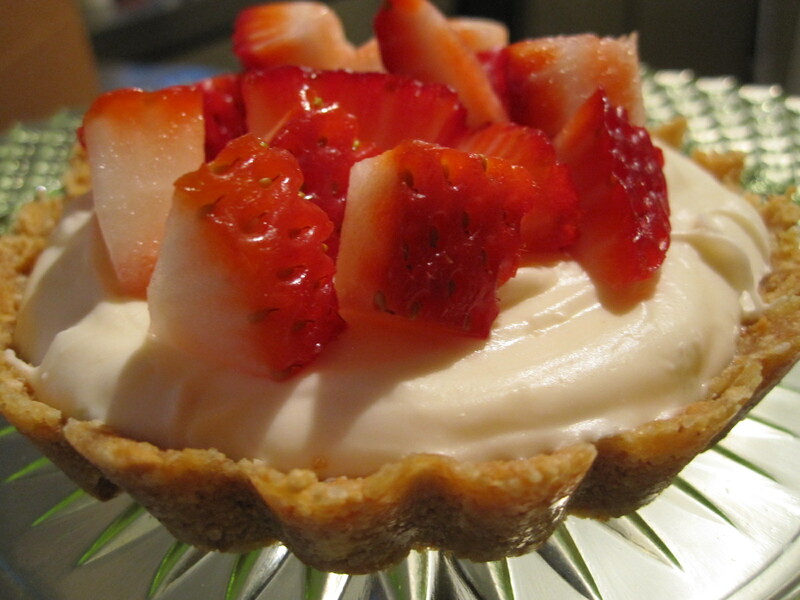 Place the tart shells in the refrigerator to chill while you make the filling. Melt the chopped chocolate in a heatproof bowl placed over a saucepan of simmering water (I melted mine in the microwave). Remove from the heat and set aside. In a large bowl, beat the cream cheese until fluffy and smooth (about 2-3 minutes). Add the melted white chocolate and then the sour cream and vanilla, beating until you have a creamy smooth mixture. Taste and add a little sugar if desired. 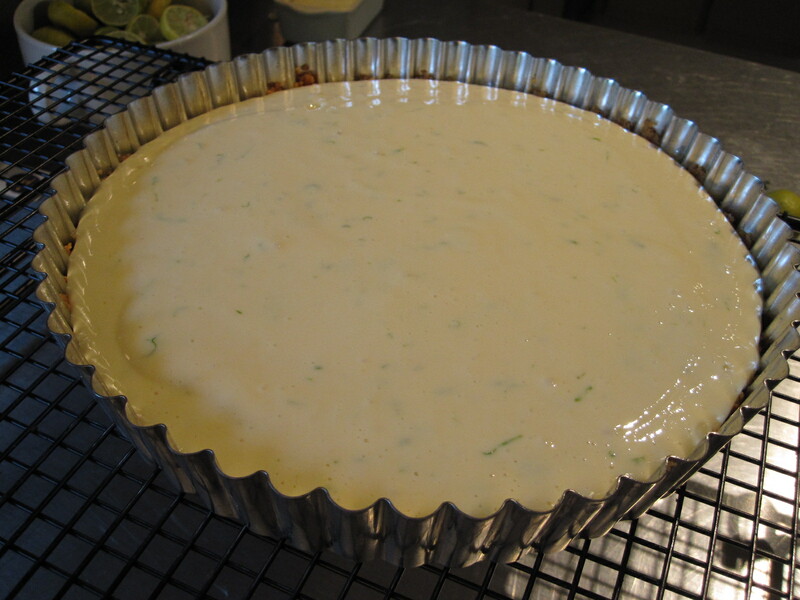 Evenly divide the cream among the tart shells, smoothing the tops with the back of a spoon or an offset spatula. Cover and refrigerate until firm. To serve, top with fresh berries or cut up fruit. What I love about these summery tarts: I never had to turn my oven on. What I hate about these summery tarts: Are you kidding me? They take about 10 minutes to make? It’s impossible to hate anything about a dessert that takes that short amount of time. 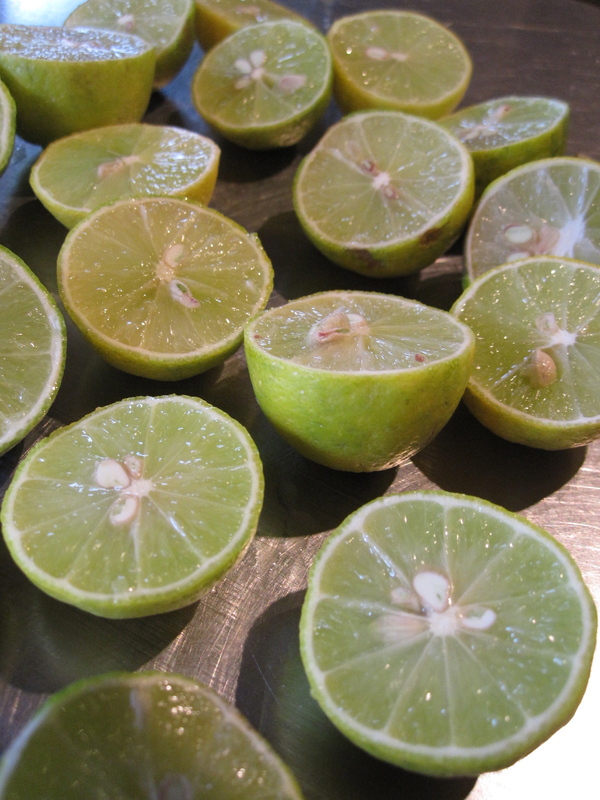 There is a certain beauty about these little limes despite the thin, yellowed, blemished skin. They were incredibly aromatic before I even started juicing them, causing me to question myself…why have I never made this before? The answer most likely lies in the fact that the only key lime pie I have ever consumed was from The Village Inn in Sterling. A key lime pie there is translucent green and tastes more like lime kool-aid rather than the exquisite dessert that came out of my oven today. This pie is so good you’ll want it on your death bed. Trust me. Come that day, if I’m anywhere near, I’ll feed it to you myself. 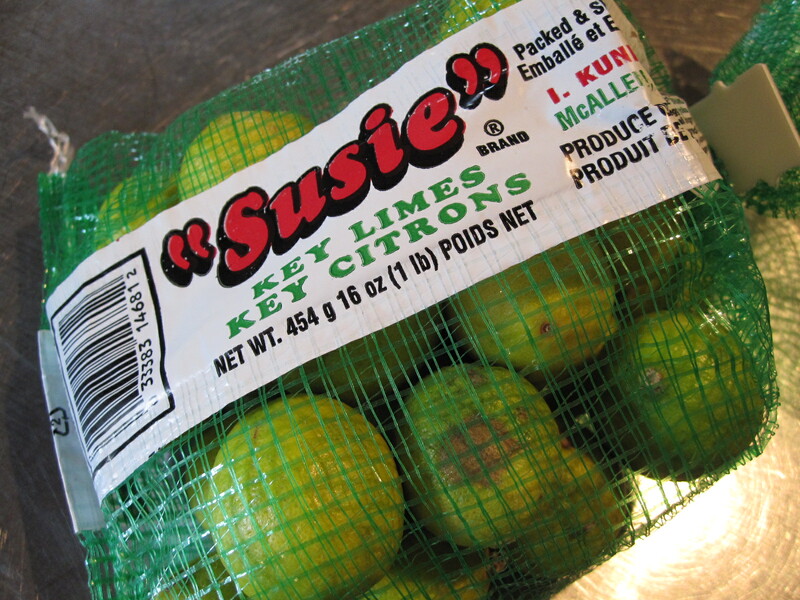 Key Lime Pie originates in the Florida Keys where these pretty little fruits are from. 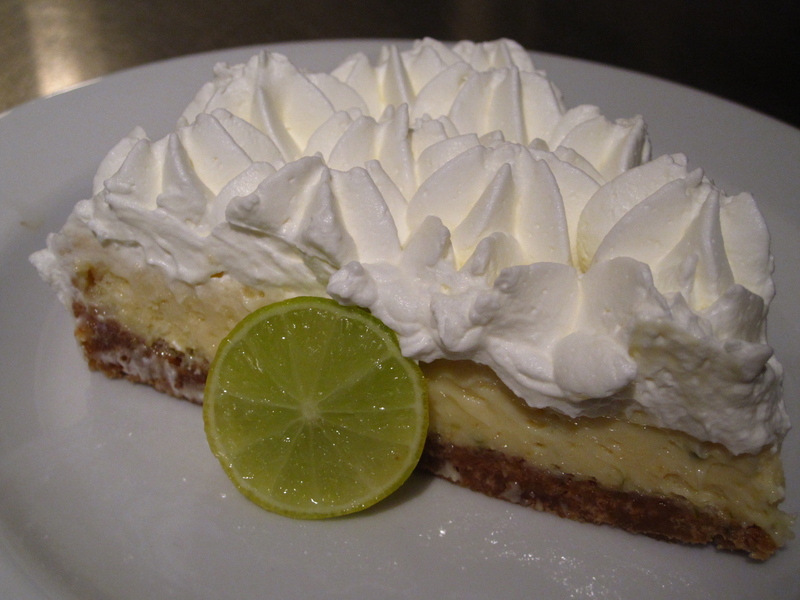 It starts with a graham cracker crust, and then is filled with a filling consisting of egg yolks, sweetened condensed milk, key lime juice and lime zest. 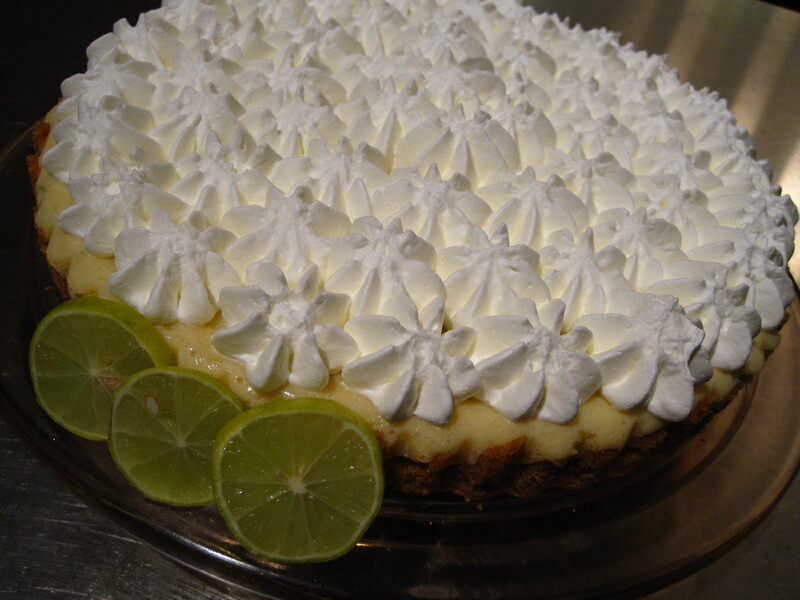 The acidic key lime juice and the sweetened condensed milk form a reaction that causes the filling to thicken on its own without any baking. I found that so interesting! However, to be safe, this pie is baked for a short time because of the raw egg yolks. It’s one of the easier desserts I’ve done in a long time, and it will forever have a place in my trusted recipe box! Preheat the oven to 350 degrees and place oven rack in the center of the oven. Butter or lightly spray a 9-inch pie or tart pan. Mix together the graham cracker crumbs, sugar and melted butter. Press onto the bottom and up the sides of the prepared pan. Bake for about 10 minutes or until set and lightly browned. Remove from oven and place on wire rack to let cool while you make the filling. In the bowl of your electric mixer, with the whisk attachment, beat the egg yolks until pale and fluffy (2-3 minutes). Gradually add the condensed milk and beat until light and fluffy (3-5 minutes). Scrape down the sides of the bowl and then beat in the lime juice and the lime zest. Pour the filling over the crust and bake for 10-15 minutes until set. Remove from oven and place on a wire rack to cool. Once it has completely cooled, place in the refrigerator overnight or at least several hours. Once the filling has chilled, beat the heavy whipping cream with the sugar until stiff peaks form. Either mound this onto the top of your pie, or pipe it decoratively. What I love about this pie: It’s incredibly easy, but looks like you spent a ton of time on it. What I hate about this pie: I could quite easily consume the entire thing within one day. There is a basket of bread on the table at ALL times. Each course is served on the same plate, so bread is not buttered in France. It’s used to sop up anything on your plate to prepare it for the next course! Um…OKAY! Eating dinner in France is a near two hour event. The French view this as an opportunity for friends and family to spend quality time together in the evenings. Even though all of the courses seem like a lot of food, it’s all savored and not rushed, and therefore we never felt like we were overeating. During this lovely dinner with our new British friends, our host introduced us to her favorite British dessert, Banoffee Pie. It was glorious. Its base is made out of either an English pastry, or English biscuits (lightly sweetened) and butter. That is topped with a toffee filling made from boiled cans of sweetened condensed milk, followed by a layer of sliced bananas and then whipped cream. 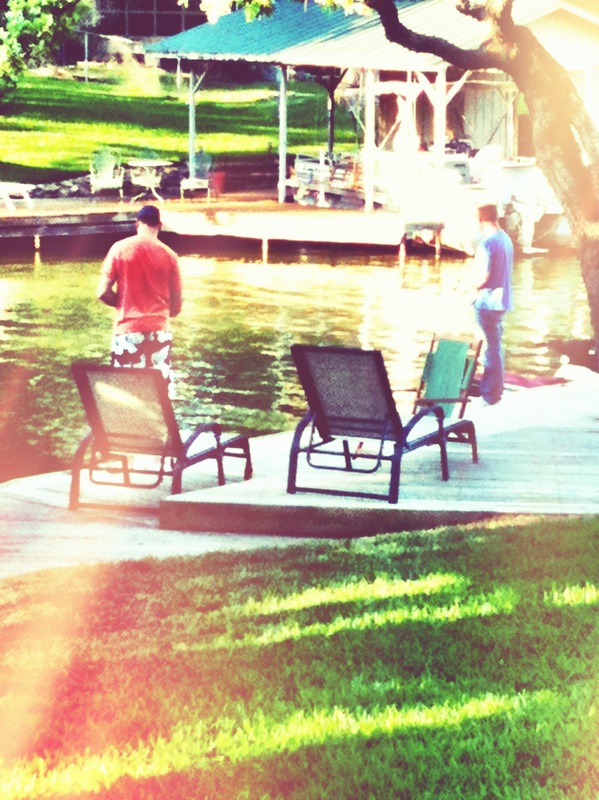 We were in heaven! Each time I hear of this sweet dessert, I’m reminded of that delightful meal in France. 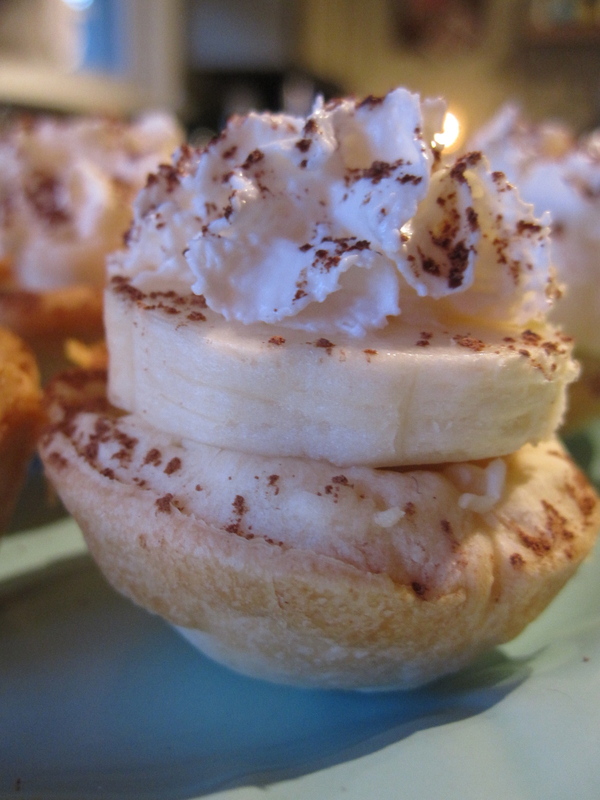 I was over the top excited when I saw these charming mini banoffee pies on Elsiecake’s, A Beautiful Mess, last week! Since we were hosting friends this weekend, I decided to try them out, and was pleased that they weren’t only delicious, but so incredibly easy! I’m fairly certain I was born in the wrong geographic location of the country. But there’s really no surprise there. I mean nobody really intends to be born in Sterling, Colorado. Because if it hadn’t been my place of birth, I wouldn’t have so many of the most lovely people in the world in my life. But let’s just pretend that I was born in the one city that I love (meaning I have never been there, but wish I could more than anything) from all the way across the country…Boston! Boston is just one of those cities that is famous no matter how you spin it. And here’s why. It’s home of the first college ever. Established in 1636, we continue to so wonderfully refer to it as Harvard College. It’s rich in history with some of the most famous battles recorded such as The Boston Massacre, The Battle of Lexington & Concord,and The Battle of Bunker Hill, as well as the famous midnight rides of Paul Revere, William Dawes, and Dr. Samuel Prescott. The city threw some serious attitude in the 177os in what we refer to as The Boston Tea Party! Talk about rebellion! The British attempts to exert control on the 13 colonies, primarily by taxation, played the primary role in sparking both the American Revolution and the emanating American Revolutionary War. This city threw a fit that would put a bratty toddler to shame by throwing three shiploads of taxed tea overboard. Love this piece of history! While I’m not sure the following has made the city famous, it’s just so worth mentioning because of the oddity that it is…The Boston Molasses Disaster. The Boston Celtics!!! The team rocked the faces off basketball fans everywhere from 1957 to 1969, winning 11 championships in 13 years, 8 of those being consecutive, this being the longest consecutive championship winning streak of any North American professional sports team! Yep, they’re awesome. And in case you were living under a rock during the recent NBA finals, they were matched up once again with their long-standing rival, the puktastic LA Lakers. They may have lost, but they put up a heck of a strong fight, and no matter what, when it comes to basketball, my blood will always run green. I heart Rajon Rondo! 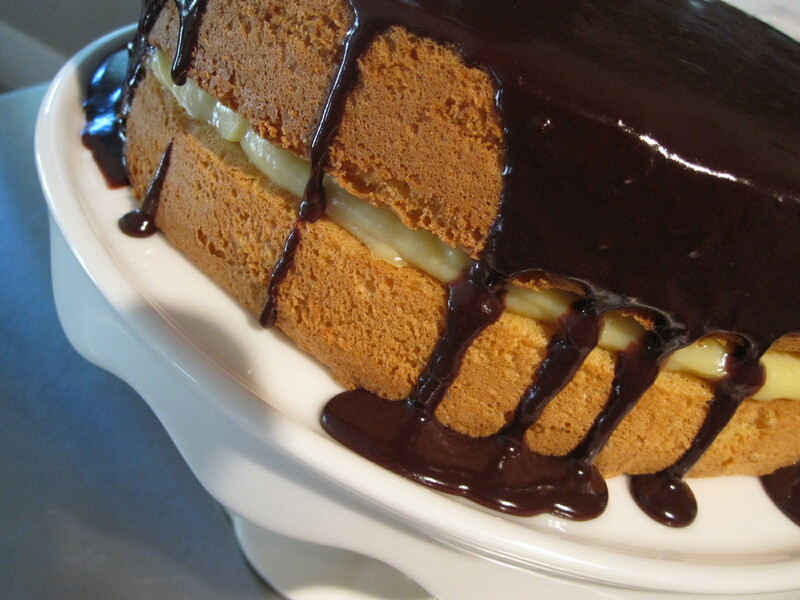 And lastly, but no less important, and the inspiration for this post…the Boston Creme Pie. Contrary to the name, this is definitely a cake, but legend says that back in 1855 when the recipe was created, pie tins were all that were available to bake this delectable dessert. It was created by French chef M. Sanzian at Boston’s Parker House Hotel. It is made up of two layers of sponge cake with a filling of vanilla custard and a chocolate ganache glaze on top. The Boston Creme Pie was named the official dessert of Massachusetts in 1996. I was asked to make one for one of my co-workers birthdays, and was more than pleased to try it out for the first time! It turned out beautiful in one of the most simple ways, and I will certainly put this in my recipe file for life. If you want to try the recipe out, this is the one I used. You just can’t go wrong with light airy sponge cake, vanilla custard and chocolate. I think I should live in Boston, so if anyone has any connections to teaching jobs out there, hook us up! Anybody know Boston well? What wonderful, glorious, amazing, fabulous, magnificent, outstanding, sensational, or terrific parts did I miss? I used to hate change. And for the most part growing up I didn’t have to deal with very much change. I lived in one house, never had to switch schools, and my parents kept things fairly consistent for me. In fact, they didn’t move to a new house until after I left for college, and I still refer to the home I grew up in as our “real house.” The consistency was probably a good thing considering when my parents finally decided to take the wood shingles off of our living room wall in an effort to make our home not so ugly, I cried. A lot. I know you must be thinking that I have that all wrong. Wood shingles? INSIDE a house? That can’t be right. And that’s exactly what the problem was. It absolutely wasn’t right, so they had to come off. I just couldn’t imagine my living room without them! It was familiar to me. I’ve come a long way from the little girl that cried over appalling cosmetic changes in my house. Change quickly became a steadfast part of my life once I graduated from high school, and I’ve learned to embrace it well. And yet, I LOVE things that I can count on. 1. Knowing that every Saturday morning you can find Aaron and I at our favorite coffee shop enjoying great coffee, good conversation, and the select few that have made this their tradition as well. 2. That every Christmas there will be several pairs of new cute patterned socks in my stocking from Aaron. 3. That each Fourth of July will be spent at Triangle Lake watching fireworks, eating good food, and laying in the sun with our best friends. 4. 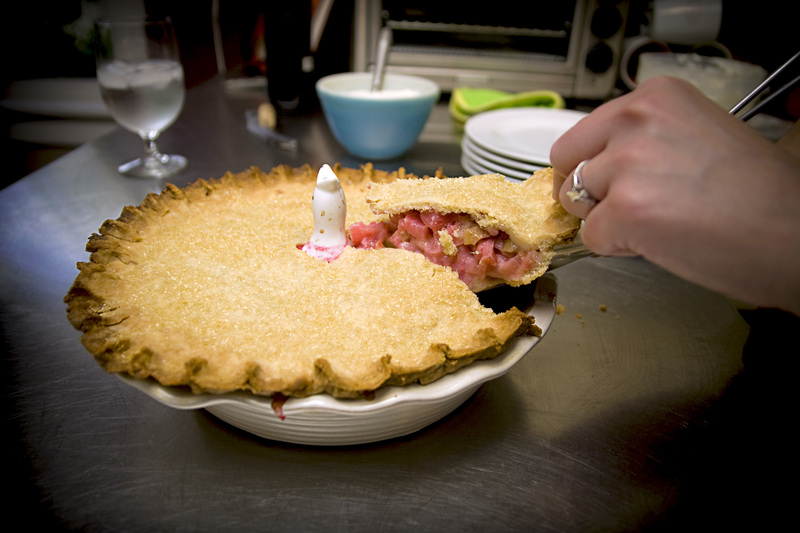 That at the start of every summer I will make a rhubarb custard pie. This rhubarb pie is the mother load of all things rhubarb. I consider myself a lover of rhubarb, and if you count yourself among the few that are this, you MUST add this recipe to your collection. It’s a family recipe from my brother-in-law’s family, so I was first introduced to it about 6 years ago. There’s just something about fresh rhubarb! I love the day that you finally walk out to the plant with knife and shears in hand and cut it in preparation for so many things…strawberry rhubarb jam, rhubarb sauce, rhubarb cake…but the first delectable treat to be made is this rhubarb custard pie. A perfect mix of tangy rhubarb and sweet custard. Made only once a year, this pie is anticipated in the Schrader household at the start of every summer and will be for many years to come! In times of uncertainty, it’s the little things like this that make me feel safe, normal, consistent, and stable. 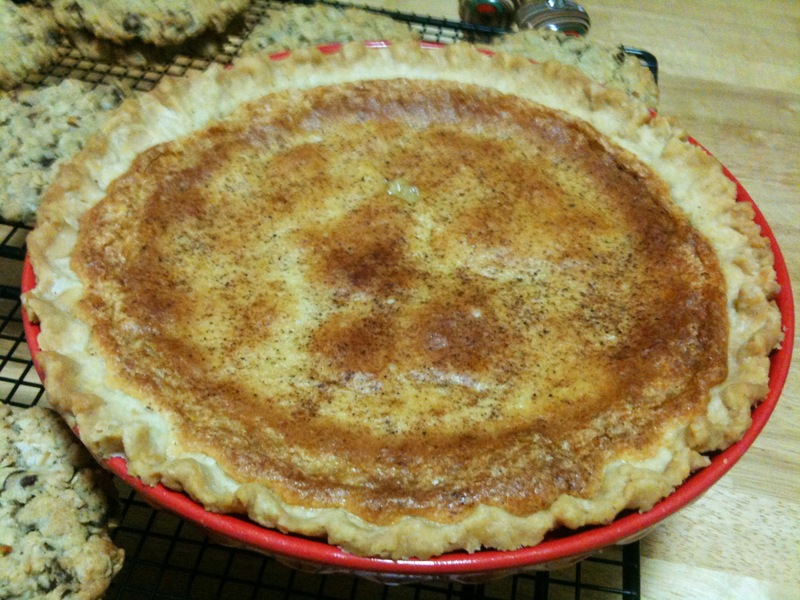 Make a double recipe of whatever pie crust you like to use. I use gluten-free because you better believe I’m going to partake in this! Roll out half of your pie dough and place in pie pan. Place all rhubarb into the uncooked pastry. Mix all of the remaining ingredients together and pour over the rhubarb. Roll out the remaining pie dough and cover the top of the pie. Scallop the edges of the pie and cut vents in the top to help release steam. Sprinkle the top with cinnamon and sugar. Bake for 10 minutes at 400 degrees and then lower the temperature to 350 degrees and continue baking for another 45-60 minutes or until it is well-browned. I LOVE getting mail! There is nothing like it. It means somebody, days before, was thinking of ME. And not only did they think of me, they acted on that thought and decided to let me know they were thinking of me via mail. Not an email, or a facebook post, a text message, or even a phone call, all of which I love as well, but an actual take the time, buy the postage, drop it off at the post office piece of mail! Sigh. That’s love. This past Thursday comfort slapped me right in the face in the form of a package delivered on my doorstep late in the afternoon. It had been a day I was hoping I wouldn’t remember (you know you’ve had them), and I was getting ready to head to a meeting. I opened the front door and there it was…the second thing to make me smile that day, the first being a phone call from my dad. The best part…the package was from a person I have never met. 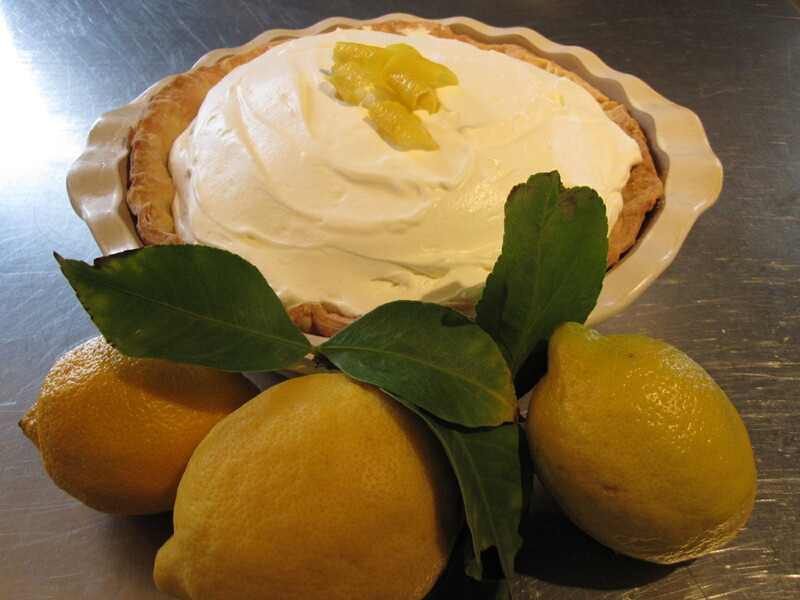 A friend of my parents in Texas, she had read my last blog entry about a lemon meringue pie, and thought I would enjoy not only her family recipe for Lemon Creme Pie, but ALSO 3 beautiful, fresh lemons from her brother’s lemon tree in Phoenix! What joy! Of course I had to try it! I won’t post it here because it’s not mine to share, but trust me…it was heavenly. I whipped this pie up Easter morning to bring to my in-laws for Easter dessert, and was so happy with how it turned out. 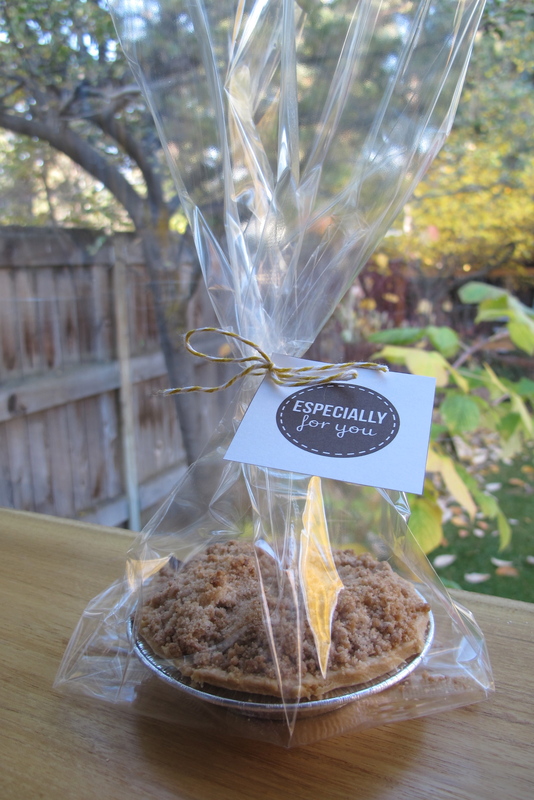 Plus, I always feel like part of a secret club when someone shares a family recipe with me. Nerdy? Yes. And I love it. Have you really ever seen a lemon so beautiful? The leaves attached are the best! And the flavor was magnificent! Thank you Mary, for your kindness, thoughtfulness, generosity, and friendship! Know that your family recipe was loved and shared by my family this Easter! Your turn! What things bring you comfort? The weather has been easing the transition between winter and summer so beautifully the last couple of weeks! What a joy it has been to have the sun shining in the windows! Once this kind of weather hits my mind is flooded with a whole new collection of recipes I want to try. 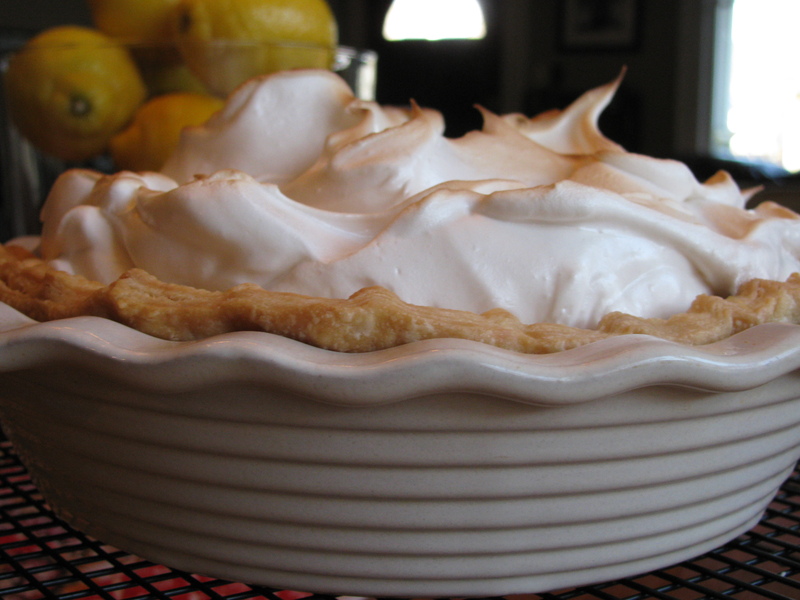 One dessert that makes me think of summer more than anything else is lemon meringue pie. I’ve never made one, so I was excited to give it a whirl! So much fun! Baking pie is such a lost art. I am so thankful to have a mom that not only taught me how to make a pie, but transferred her love of making them straight over to me. It just seems that there is so much love that goes into making a pie, and when it comes out of the oven I get so excited to cut that first slice and serve it to someone I love. One of my favorite movies is the completely underestimated Waitress. Jenna, the main character is a waitress at a pie diner in the south. While she joins two other waitresses that work there, she is the heart and soul behind the pies. She creates a new one each day to join the daily specials. Unfortunately she’s caught in a miserable marriage with an extremely controlling husband, and feels depressed when she finds out she’s pregnant. She proceeds to make several new pies throughout the course of her pregnancy. “I Hate My Husband Pie”–You take bittersweet chocolate and don’t sweeten it. You make it into a pudding and drown it in caramel. “Earl Murders Me Because I’m Having An Affair Pie”–You smash blackberries and raspberries into a chocolate crust. 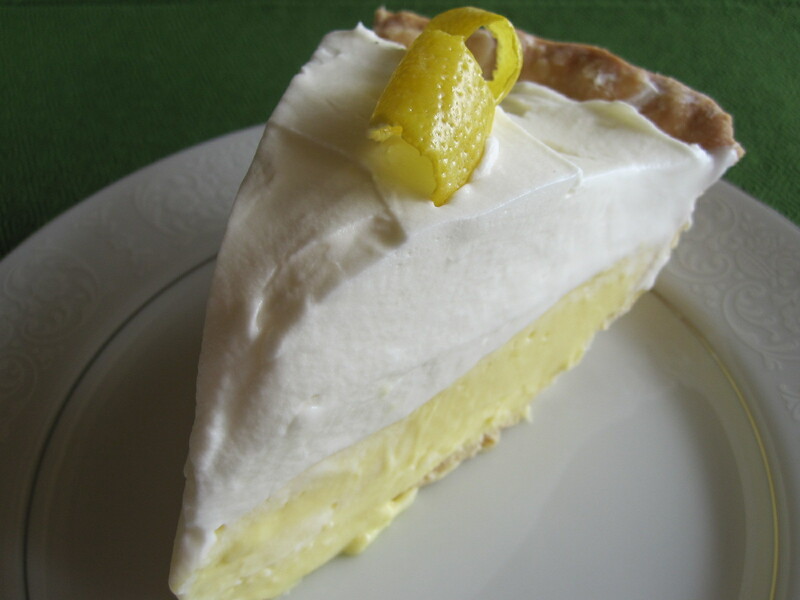 “I Can’t Have No Affair Because It’s Wrong And I Don’t Want Earl To Kill Me Pie”–Vanilla custard with banana. Hold the banana. “Pregnant Miserable Self Pitying Loser Pie”–Lumpy oatmeal with fruitcake mashed in. Flambé of course. So deciding on lemon meringue was the perfect choice! I have a long-flake pie crust recipe given to me by my teacher here in Bend, Mardia Stoliar that I believe is the best pastry crust I’ve ever tasted or seen. I always need lots of space and plenty of time to make it because I make 10 lbs. at a time and prepare it to freeze. It’s the best to be able to pull out a sheet of pastry dough and whip up a pie! I have to admit I was a bit nervous about the meringue. 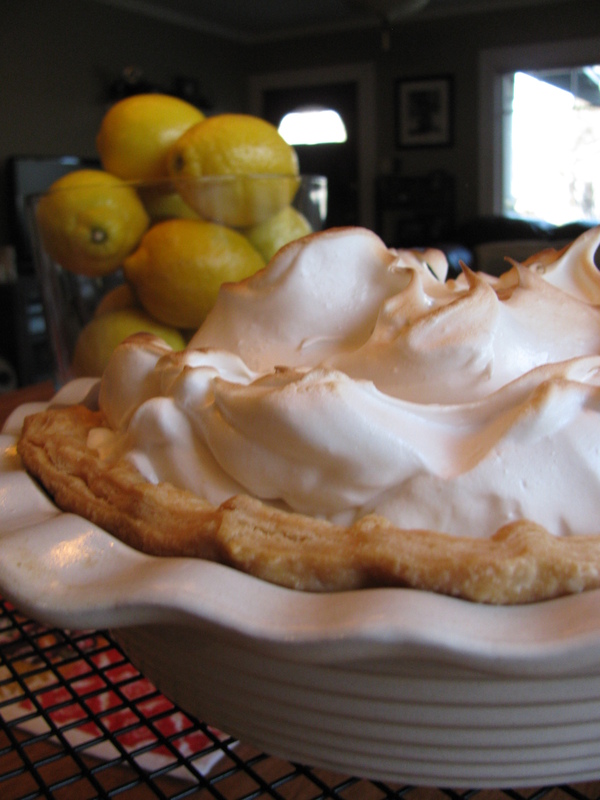 I’ve worked with meringue before but had never actually topped a pie with it and it seemed a bit intimidating to me. I was so pleased with both the process and the outcome. It was surprisingly a pretty easy pie to make, but looked like I worked on it for hours! I hope you try it! As you take your first bite, take a moment to think about what sort of images or memories come to mind with the taste. You won’t regret it! Prepare pastry and refrigerate it until firm enough to roll, about 1 hour. Roll pastry into a 12-inch circle with a floured rolling pin. Place in a pie pan and sculpt the edges just slightly higher than the rim. Place in the freezer for 15 minutes, then fully prebake and let cool. Combine the sugar, cornstarch, and salt in a medium size saucepan, whisking to mix. Add the water, lemon juice, and lemon zest. Add the egg yolks, whisking the mixture well. Place over medium heat and cook, whisking virtually nonstop, until the mixture comes to a boil, 5-7 minutes. Reduce the heat slightly and continue to cook, whisking nonstop, for about 1 1/2 minutes. Remove from the heat and stir in the butter, one piece at a time. 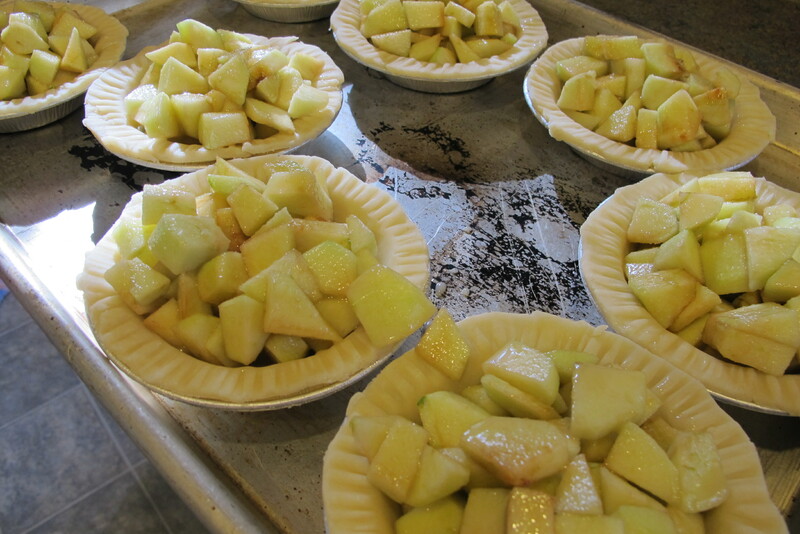 Immediately pour the filling into the cooled pie shell, jiggling the pan to settle int. Press a piece of plastic wrap directly over the filling, taking care not to leave any gaps or air pockets, to prevent a skin from forming. Transfer the pie to a wire rack and let cool to room temperature. Refrigerate for up to 1 day if you’re not adding the meringue right away. Just before serving, preheat the broiler and make the meringue. In a large bowl, beat the egg whites with an electric mixer on medium-high speed until they hold soft peaks. Beat in the cream of tartar and salt. Gradually add the superfine sugar, 1 Tbsp at a time, beating until the whites are thick and glossy, though not dry. Add the vanilla and beat briefly. Mound the meringue over the filling, spreading it so it is domed in the center and touching the crust all around the edge. Place the pie on the center oven rack and briefly brown the meringue under the broiler. It will just take a very short time, so don’t walk away from the oven. Transfer the pie to a wire rack and serve right away. Or cover with loosely tented aluminum foil, making sure the meringue doesn’t come in contact with the foil, and refrigerate until ready to serve. Baby don’t you cry, gonna make a pie, gonna make a pie with a heart in the middle. Baby don’t be blue, gonna make for you, gonna make a pie with a heart in the middle. Gonna make a pie from heaven above, gonna be filled with strawberry love. Baby don’t you cry, gonna make a pie, and hold you forever in the middle of my heart.